Thing is, since then I have not scheduled another eye exam for various reasons. 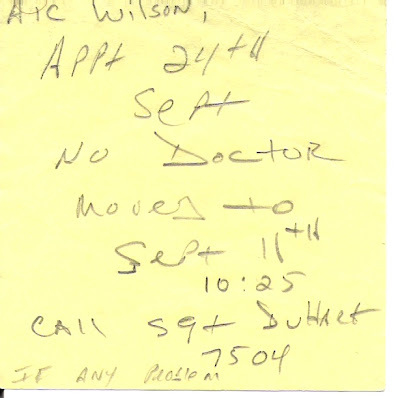 I had some technical issues trying to schedule an appointment while I was still in the Airforce. After that, I have not scheduled an appointment for reasons including procrastination and no health care as an unemployed student. Point is, since my eye exam was cancelled on 9/11/2001 I have not scheduled another exam between now and then. So today, seven years later, I have finally scheduled another eye exam which will be this Thursday. Guess what the date is.